DURHAM Business Club member Michael Gibbon has joined well-known North East telecommunications and IT business CCS. Michael (pictured – far left), who has been a member of the business club for eight years, previously ran his own IT consultancy business Gibbon Online and will be providing IT and business development support at CCS. He hopes to bring the majority of his customers with him and believes the combination of his own experience and that of the CCS team will bring great benefits to new and existing customers alike. 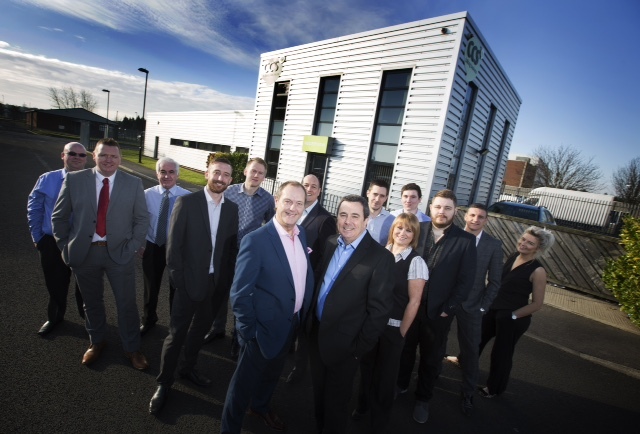 Based near Sunderland, CCS provides unified communications and managed hosting services covering mobility, fixed line, data, contact centres and business solutions. The company works with customers to develop long-term strategies based on in-depth customer and business analysis in order to build a mutually beneficial relationship. CCS has a strong focus on ‘ethical selling’, in particular ensuring customers are fully aware of what their contracts entail and working to achieve transparency within the telecommunications industry. For more information visit the CCS website or call 0191 534 0140.